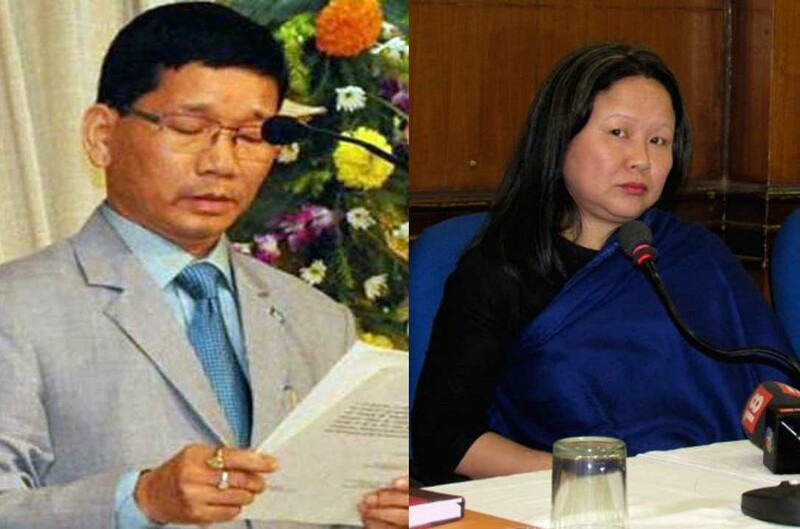 In a fresh move, Dangwimsai Pul, wife of late Arunachal Chief Minister Kalikho Pul on Monday wrote a letter to three senior judges of the Supreme Court seeking to grant sanction for registration of FIR following the allegations levelled by her husband before committing suicide on August 9, 2016 against the sitting judges of Supreme Court, politicians and lawyers. She has addressed to justices J Chelameshwar, Ranjan Gogoi and Madan B Lokur. “I am writing this letter to the three senior-most judges of the Apex Court requesting you to kindly take an administrative decision of granting sanction of lodging an FIR and having this matter credibly investigated by an SIT,” as per her latter sent to the judges on April 3. Earlier, she had sent similar letter to President Pranb Mukherjee and Vice-President Hamid Ansari, referring to her husband’s 60-page note written in Hindi and also the Inquest report by Additional District Magistrate of Itanagar . He was under depression after his removal from the CM post, she claimed, she said. In July last year, the Supreme Court bench headed by Justice J S Khehar, now CJI while hearing a petition over the political development in Arunchal Pradesh , had removed him from the post of CM and reinstated Congress Chief Minister Nabam Tuki in the state. “The note titled-Mere Vichaar briefly details his life history and thereafter shows his anguish about the corrupt state of affairs in politics and in the judiciary in the country. He levelled allegations of corruption against the sitting Chief Justice of India and the next Judge in superiority in the Apex Court and also against the present President of India,” she said in her letter submitted to Vice- President. According to the letter, as per the Top court’s Veeraswami Judgement, since the allegations are against the sitting CJI, second senior most Judge and also President of India, Vice-President should consult other Apex court judges other than CJI and second senior most and set up SIT to probe into the allegations. Pul had withdrawn the first letter which she had sent it to CJI after it was converted into a writ petition and listed for hearing in the open court. Her lawyer Dushyant Dave submitted that she wanted an administrative order for investigation but not any judicial orde.